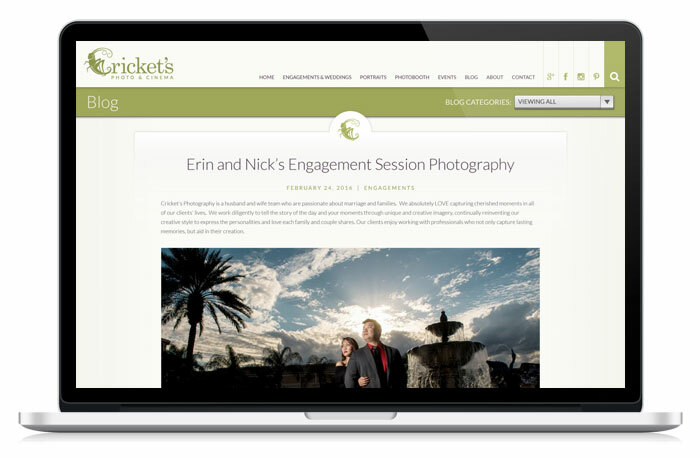 Cricket’s Photo & Cinema is a premier Orlando, Florida photography studio, based out of Winter Garden, that specializes in engagement and wedding photography and cinematography. They also offer a full line of portraiture services including: families, high school seniors, maternity, corporate head shots, and beauty & glamour. They recently expanded their services to include special events and photo booths. 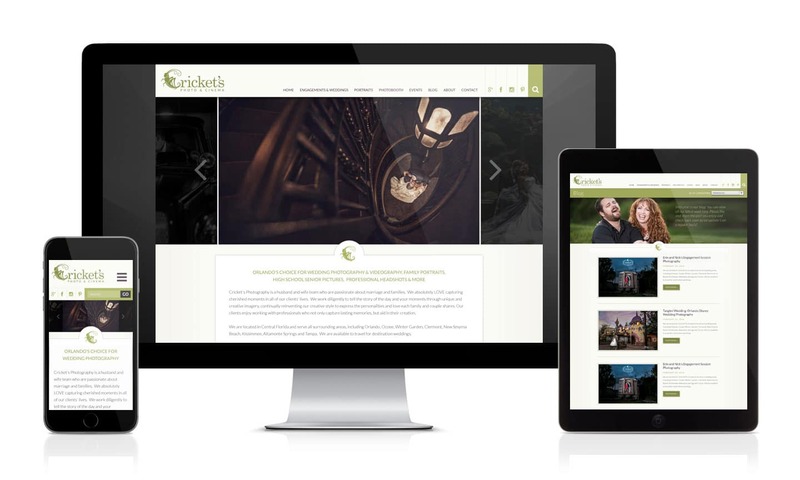 Cricket’s new website was built in WordPress utilizing a fully custom, search engine optimized, responsive WordPress theme. It features a modern and contemporary design, a sticky header for convenient navigation, a seamless blog, multiple image and testimonial sliders, and a custom blog and related post feed. For the galleries we utilized a masonry style gallery that takes advantage of WordPress’ native gallery, making is extremely easy to update.